"Travel Tools" for Hong Kong! The translator can speak in Cantonese! 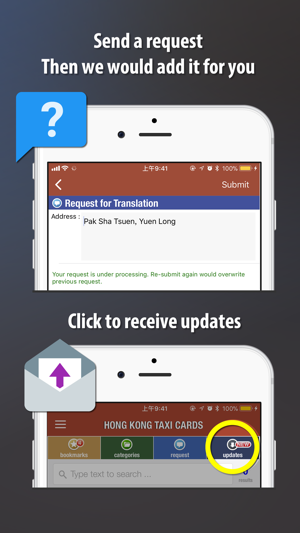 This app is designed as a platform to provide addresses translation in a collaborative way. Users are expected to enjoy comprehensive database, and able to request and contribute to the database. For whose who have tried the request function, we believed you truly understanding what this app could uniquely provide to you. You just don't have to worry about the database coverage. 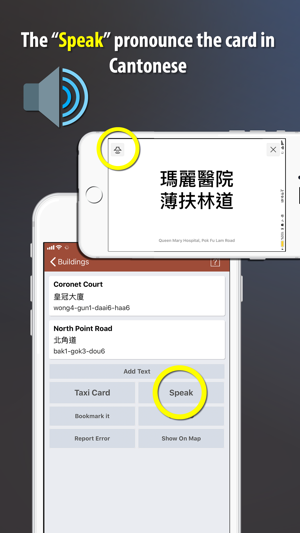 This app translates address into Chinese and phonetic Cantonese. 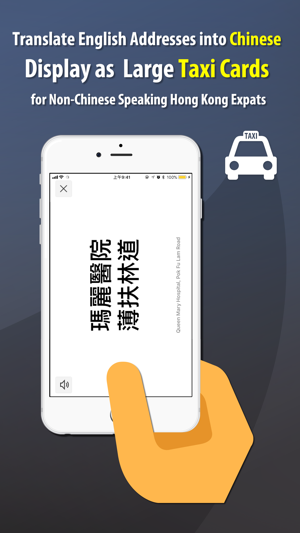 Just show the Chinese flash card to taxi drivers, it solves the language problem. Do not find the address you look for ? Easy, use the 'request for translation' function. Just submit your request, we are happy to add it for you very quickly ( within a day normally ) . More importantly, the updates could be retrieved by a single click by the updates button. Also, you could report error on address, and we would correct the data. 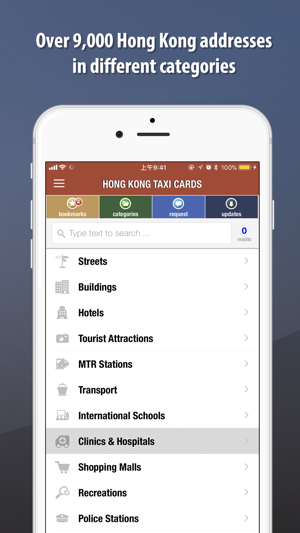 Whenever you start the app, it will automatically check for new address updates from our servers. Just one single click could keep your database up-to-date. 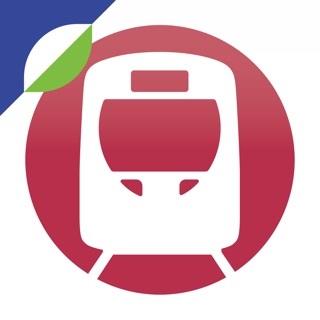 This app could works offline except the first-time data install and the map function. After you made a request, you could click on the 'Request' button again to check the status. It would show the request status, e.g. "Added. Please check the updates button ( shown an icon on it - "NEW" )." After you click the updates button, the requested address would automatically update onto your database. 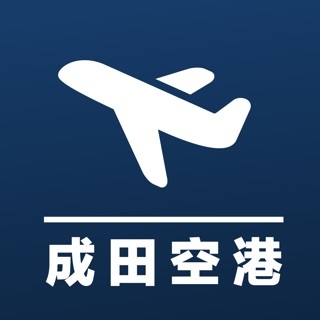 I use this app all the time. 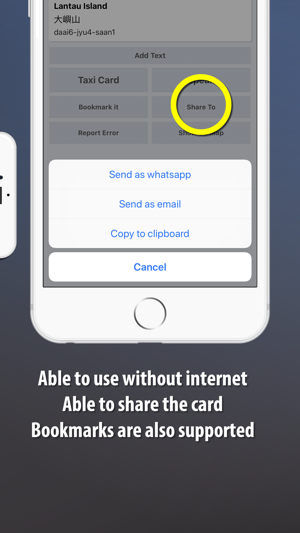 The spoken cards is especially useful. They are pretty quick to respond if you have a request. I asked for an update for a small specific hotel and a few hours later it appeared! It asked me to rate it. I clicked ok and got a white screen. Had to delete the app and reload. Lost all my saved cards.